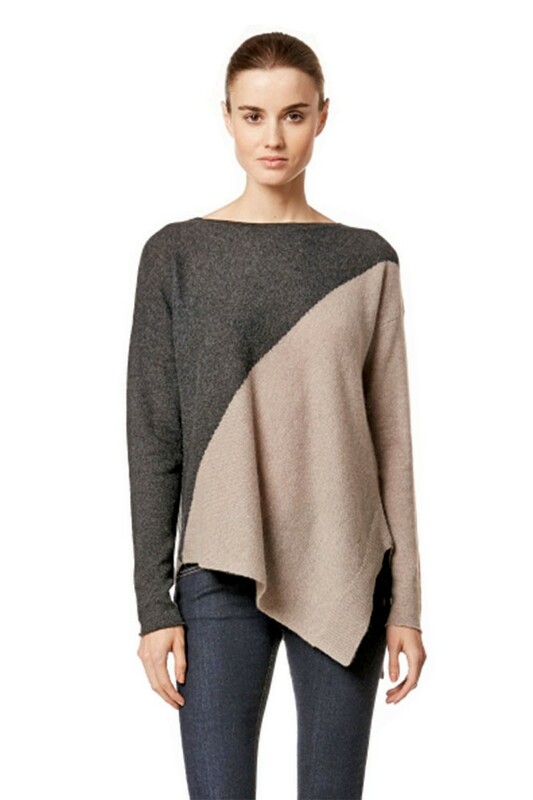 Angie two-tone sweater by 360Cashmere, $250; found at Apt. 202 (955 E. 900 South, 801-355-0228, Apt202Boutique.com). This charcoal and almond, 100-percent cashmere pullover (with asymmetrical split hem) will be a classic sweater to wear for years to come. Coco Chanel once said, "Fashion fades. Style is eternal." Apt. 202 owner, Ashley Rothwell, lives this motto and it's evident in her selection of classic, non-trendy, yet of the moment clothes in her store. 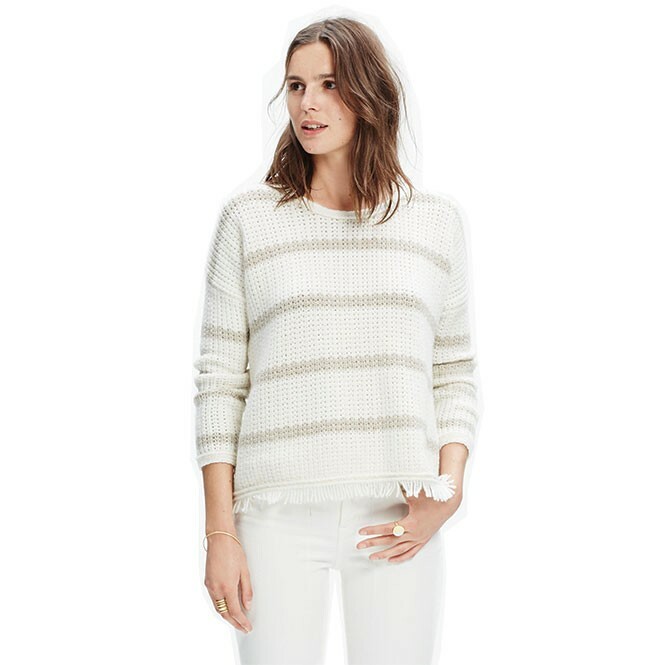 Striped fringe-edge sweater, $98; Madewell (City Creek Center, 50 S. Main, 801-363-1857; Fashion Place Mall, 6191 S. State, 801-281-5517, Madewell.com). This sweater is a boxy shape, with a tan stripe against cream, fringed trim and textural stitch made from a nylon-, wool-, polyester-blend. Madewell just opened its second Utah location this week in City Creek Center. Color-block sweater by Kerisma, $74; Katie Waltman Jewelry—The Shop (926 E. 900 South 385-227-8977, KatieWaltman.com). 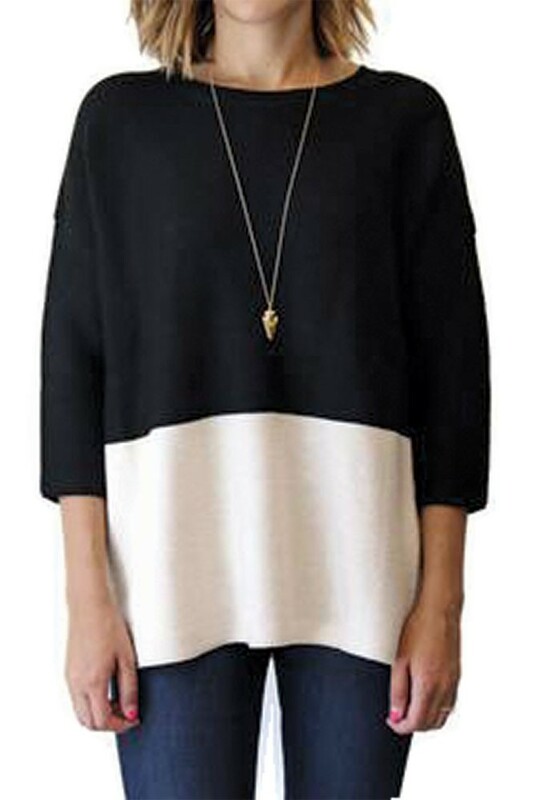 This loose-fitting, black-and-ivory everyday wardrobe staple is a soft wool blend. KWJ—The Shop is nationally known for owner Katie's handmade jewelry line, but she has added clothing to the mix in this darling 9th & 9th store. Jordyn Sweater by 360Cashmere, $322; Cake Boutique (577 Main, Park City, 435-649-1256, CakeParkCity.com). 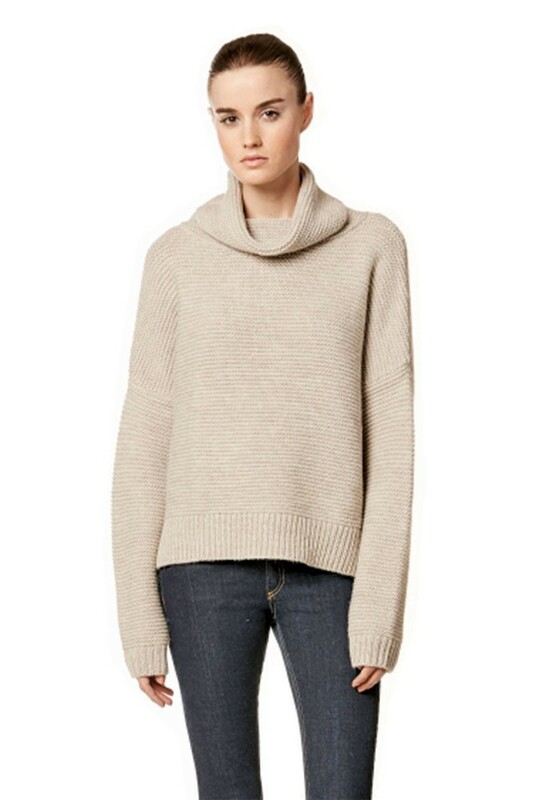 This comfy oatmeal, 100-percent cashmere-textured-knit oversize turtleneck is an easy and relaxed fit. Cake Boutique is as yummy as its name. It's one of my favorite boutiques in Utah with brands like Rag & Bone, Vince and Elizabeth and James.